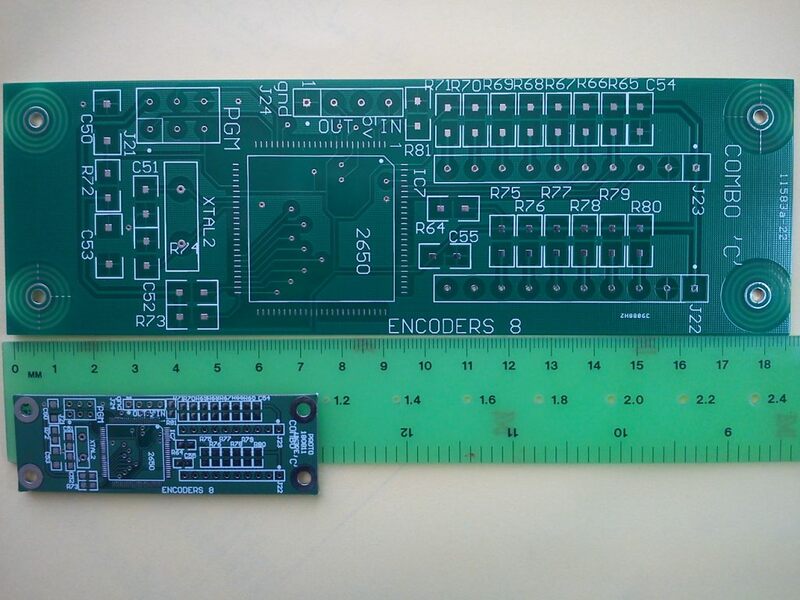 This PCB was made recently and proved to be a surprise when received. Instead of the size expectoed and on the Gerber files, it was sent to me at ~2.5 x it's correct size. The smaller board below left is the correct size ! 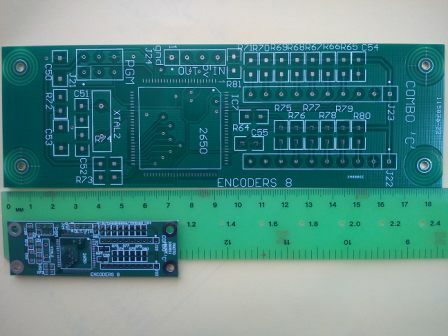 The PCB received was 187 x 61mm ! Interesting point is that the pad sizes for parts seem to be correct size but outline is much larger.